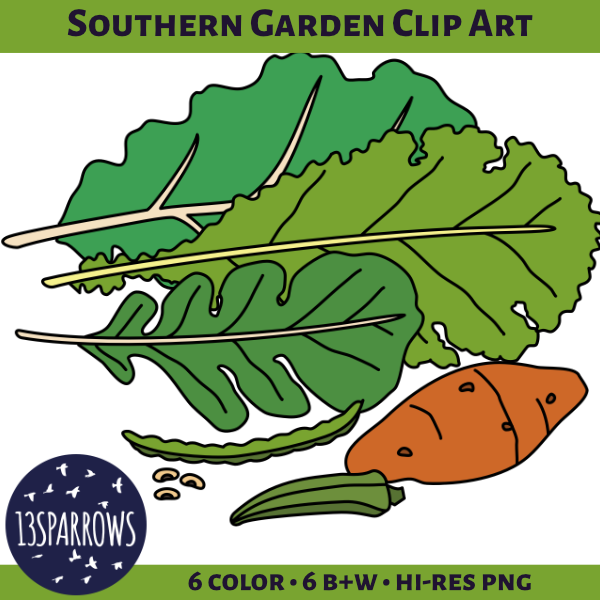 The thumbnail product cover for Southern Garden Clip Art. Features a green collard greens leaf, a light green mustard greens leaf, a dark green turnip greens leaf, a green black-eyed pea pod and three cream colored beans, an orange sweet potato, and a green okra pod on a white field. The 13sparrows logo is at the bottom with the text 6 color, 6 B+W, and hi-res PNG.